Recently I spent some time in the National Archive of Japan and the National Diet Library Center. 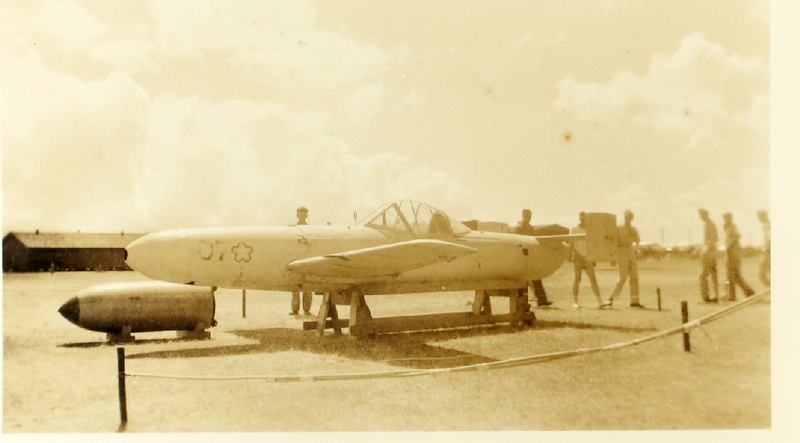 I eventually found, with help of a friend procuring documents from the Canadian Heritage archive, a new type of Japanese interceptor based on the Ohka Suicide Bomb. I don't usually touch on aircraft, as my aerial knowledge is rather poor. To make this I worked with a few people who have a much better understanding than myself. Such as Cherryblossom, ARADO_AKBAR, Shapeshifter (Whelmy), and Leo Guo. The aircraft, dubbed the Suzuka-24 by American Intelligence, was an interceptor rocket-based aircraft designed to intercept allied bombing formations at the end of the war. Unlike the Ohka, this new rocket was not intended to be used for kamikaze use, instead for a complete take-off, strafing run, and landing. US Intel Report Report No. 9-a-60 Rocket Plane "Ball of Fire"
As the end of the war drew quickly for Japan, the military started relying on drastic measures to achieve the most in the short window period they had left in the war. Such measures involved the use of suicide operated vehicles and weaponry - with the intend on using a platform loaded with explosives to crash and detonate the targeted object. From tanks, ships, infantry weapons, and most noticeably aircraft. The term Kamikaze was used heavily in reference to the suicide attacks via pilots, flying fighters and heavy assault vehicles where were equipped with explosives used to ram United States ships. warhead next to the nose. then sent to the Yokosuka Research Facility. The concept of the suicide rocket were eventually adopted as the project MXY7, and technical drawings and blueprints were drawn for the rocket. Flight path of the Ohka leaving the G4M. Designed to carry three Type4 Model I rockets, the MXY7 would have its first powered flight in November of 1944. The idea was simple, and deemed effective for use. Mass production of the aircraft began as soon as it came in. The designation Ohka was given to the suicide rocket, and 755 units of the Ohka were built at the Yokosuka and Kasumigaura naval arsenals. The rocket saw limited use, with only a handful of successes resulting in American warships being sunk. The Ohka was transported by a mothership, the Mitsubishi G4M Betty. While considered for land and submarine deployment, it was never conducted with the suicide-purposed models. 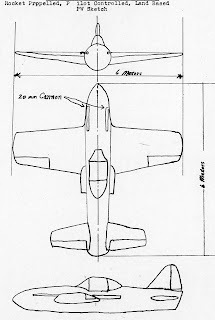 The Ohka rocket from 1944 to 1945 went through several design changes. With the underlying change of which for different warhead sizes and powertrains. All of the models shared the same underlying theme - suicide use against warships. However by 1945, a new threat emerged to Japan, American strategic bombing raids. The introduction and use of the Boeing B-29 Superfortress posed a substantial threat to Japanese aircraft. To remedy this issue, development of new more powerful fighters took place. Not only, but correspondence with Germany resulted in sharing of rocket and jet engine information to Japan. 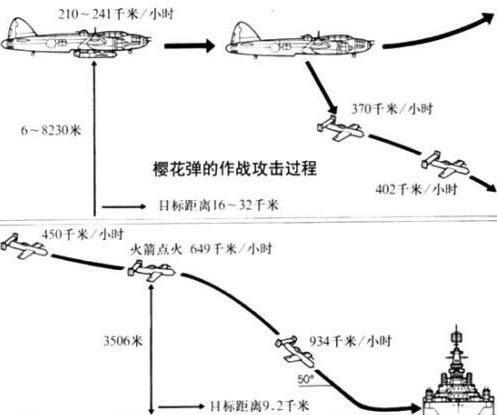 Such examples and information would lead to aircraft such as the Kikka and Ki-200 to be built at the end of the war. Rocket development became heavy in Japan, with multiple designs being built. It was decided to redesign the Ohka for a new role - bomber interception. Similar in operation to the Ki-200 rocket, the Ohka-based interceptor would be lighter in weight, smaller armament, and a small silhouette. 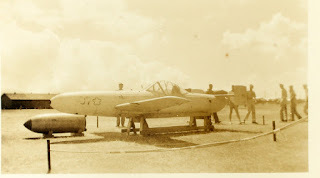 The Ohka was designed by the Japanese Naval Air Service, however the change to use a land-based interceptor was developed by either the Navy or Army air serviced, currently unknown. The new design removed the use of a warhead entirely. As its purpose was intercepting B-29's, the weight and use of a warhead was seen as impractical and hazardous to the design. Instead, a fuel tank and two 20mm cannons were placed in the nose of the design. Due to this, there is no room in the nose to fit a warhead of any size. With only a length of 6 meters, the 20mm cannons take up a considerable worth of space to fit the gun and munition belts properly. The design of the aircraft was significantly altered to account for its new use. A changed tail design, now introducing a general vertical and horizontal rudder and elevator, allowing better control of the aircraft in flight. Along with this a longer wingspan, being 0.5 meters longer on each side of the aircraft and thicker support. The new design of the Ohka-interceptor allowed for ease of maneuverability in flight. The Ohka interceptor was produced in a handful of models. By the time the war ended in 1945, most of the vehicles were kept at Suzuka, Yokosuka, and Kanoya airfields. 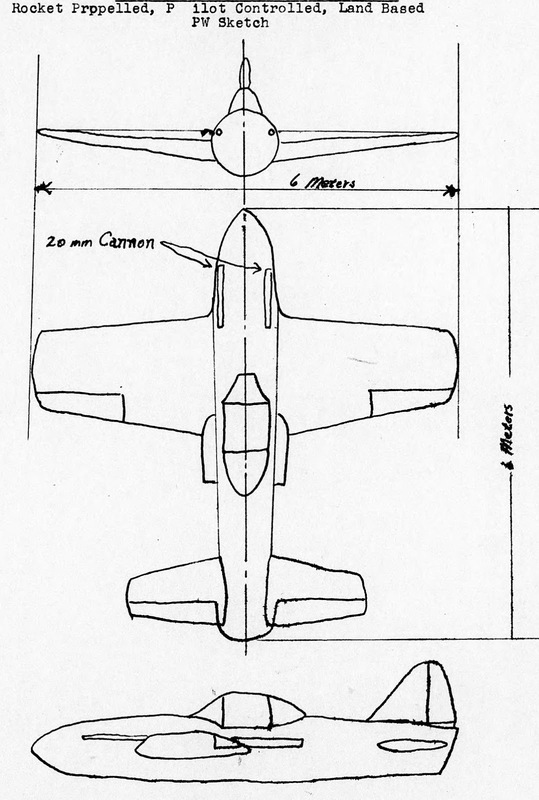 United States Intelligence discovered one model at Suzuka, and labeled the aircraft as the Suzuka-24 as the official designation was not known. Four more models of the Suzuka-24 were discovered at Kanoya airfield. At Yokosuka, another model was found along with a pilot belonging to the airfield captured. The pilot listed details of the aircraft, its designated use being bomber intercepting, and measurements of the aircraft. Photographs were mentioned as being taken, however at this time none have been found. The Suzuka-24 saw only two accounts of combat. Both were separate engagements on B-29 formations on April 3rd, 1945. The bomber crew report the Suzuka-24 being a "ball of fire" in accordance to the rocket's discharge. 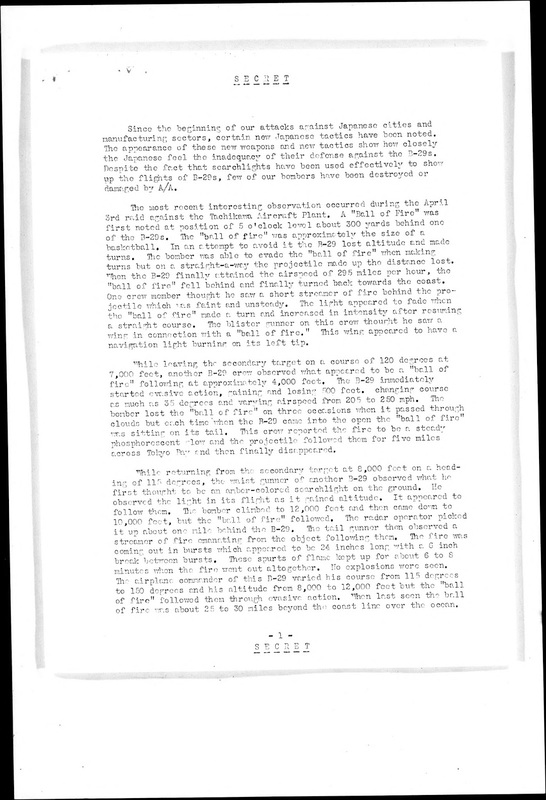 The report lists the rocket lasting for 6 to 8 minutes, where the rocket finally died and the aircraft broke off from the B-29 formation. The crew report matched the fuel time the Suzuka-24 could sustain, 7 minutes. To reach the formation, the Suzuka-24 was given an assisted-rocket on the underside of the central fuselage. They note the rockets flickering on and off while chasing the bombers. Due to the KR-10's being new and flawed, performance reflected operational use. 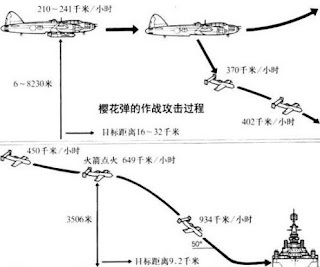 The Suzuka-24 struggled to get even with the B-29 bombers during its engagement. Overpassing and following behind due to the flickers. The KR-10 by April 3rd were highly experimental. Even when mounted on the J8M prototype months later, the KR-10's operated poorly and even resulted in exploding due to the rocket mixtures. Only a general look of the Suzuka-24's specifications are known. 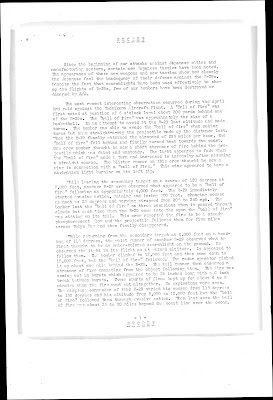 B-29 report on seeing the Suzuka-24 in action. After the war, the United States encountered many different aircraft. Multiple variations of the Ohka were made and left over in mixed conditions. Because of this, the Suzuka-24 is confused to be an identical Ohka with a warhead, the Model 43B. The Model 43B was similarly designed to hold two 20mm cannons. However the fuselage was extended to carry both the cannons and warhead with fuel for a Ne20 jet engine. Great read and I hope more info comes of this. The Japanese kwantung army had a large industry in Manchuria, shown partly with the Type 4 ke-nu and Chi-ha kai conversions, the production of the ki-98 manshu plane and the large defense line of fortifications throughout the border (such as Koto fortress), along with another couple examples probably. Thus it wouldn’t be far fetched if the kwantung army produced the Type 4 heavy tank by themselves. You did a great job once again Mai :) You're awesome! Can't wait to see some more detailed blueprint and tech drawing. How authentic is it ...? You were talking about a book being made about the newly discovered Japanese tanks, any idea if it will be out or atleast a preorder before Christmas?